Aviation Updates Philippines - Philippine Airlines passengers will now enjoy a new business class and iNAiR's new product, the wireless entertainment. This allows passengers to watch movies, listen to music, and read online magazines. Based on the photo above, the passengers are on the newest Airbus A330-300 High Gross Weight variant. The new product was launched on June 10 via PR 656 from Manila to Abu Dhabi. This is the first plane to be fitted by the new business class seats. Before the passengers can use the free wireless in-flight entertainment (IFE), passengers have to download the PAL iNAiR Player App before boarding the plane. Both the business class and economy class can enjoy the free wireless IFE. "The in-flight entertainment system is now wireless so you can bring your own personal device and you can watch a movie through it," Philippine Airlines President Ramon Ang said. Philippine Airlines is the first Philippine carrier to have an in-flight entertainment system. Using the Airbus A330 HGW, the carrier is avoiding using seat back televisions to reduce weight and carbon footprint. "And if it is wireless, we can keep on changing, upgrading of anything," Ang said. "We are entering a new generation of inflight entertainment systems." he added. 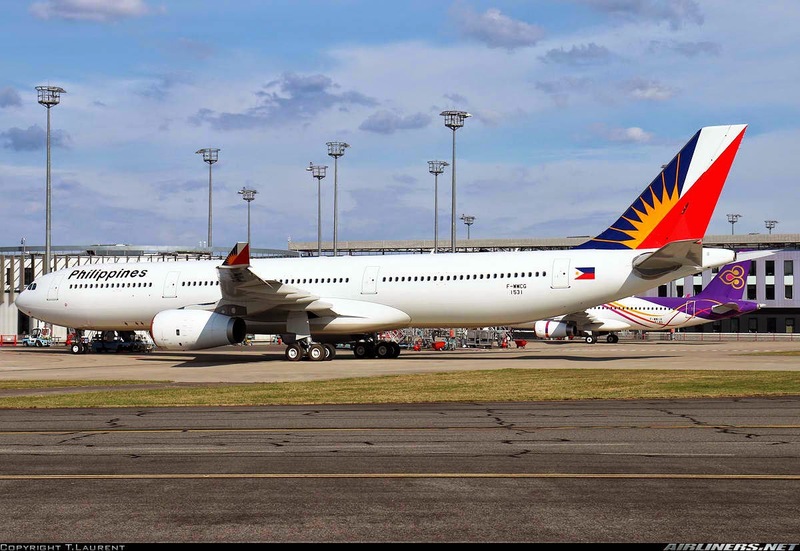 According to Philippine Airlines President Ramon Ang, that the latest business class long range aircraft completes their menu of new product offerings. 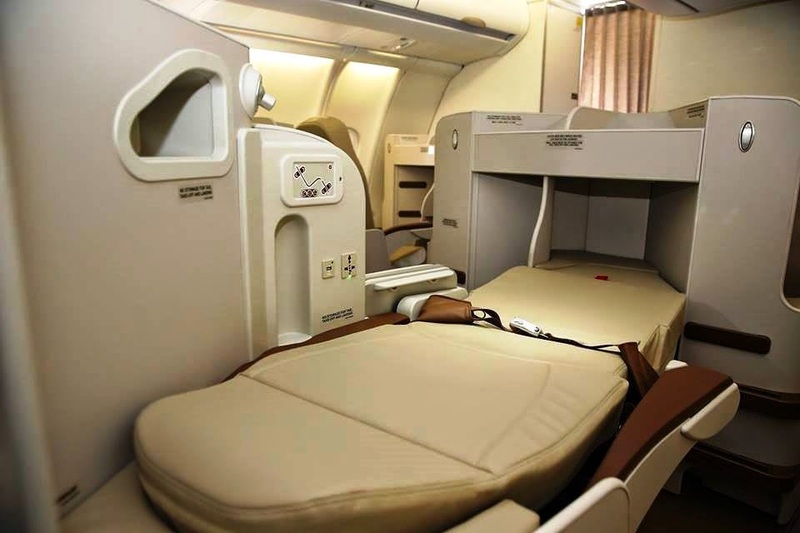 It aims to enhance the experience of both the business and economy travelers in flight. With the French designer Sogerma, the airline's new business class cabin is equipped with Equinox 3D seats. In one press, the seat can move from a seat into a flatbed approximately 6 feet long. Don't worry about privacy, because when moving to bed position, the window seat moves up to armrest level while the aisle seat moves down to just above the floor. The Equinox 3D offers a pitch of 60 inches and considered as one of the most generous in the industry. The seat include an electrical leg rest with ottoman, retractable privacy divider, in-seat power supply, USB port, glass holder, reading light, coat hook, electrical seat controls and ample stowage space. 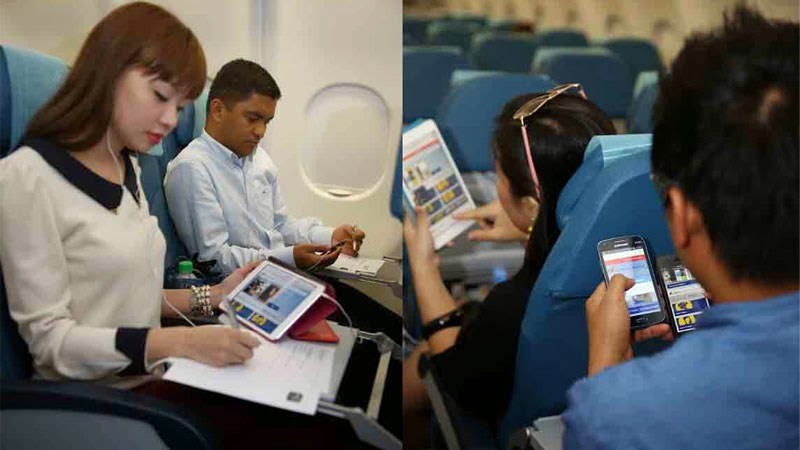 For passengers without tablets or smartphones, Philippine Airlines has on-demand iPads which are ready to be used. Visiting your Twitter account, your Instagram, and your Facebook in-flight is possible because of iNAiR's newest offering. The second Airbus A330-300 High Gross Weight variant is expected to arrive soon. The plane will be registered as RP-C8762. It can accommodate 323 passengers in Economy Class, 27 passengers in Premium Economy Class, and 18 passengers in Business Class.